Quran mentions several groups of people with certain names or labels, such as Muslims, Jews, Christians, etc. When Quran introduces these labels it also gives behaviors and character traits of these people. An important point to keep in mind is that when Quran mentions for example ‘Jews’ it means those people who act according to traits given in Quran for Jews, and not by what the World calls them or not by what label they put on themselves. Hummm .. interesting. Actually "Muslim" as in the Noble Quran refers to a believer who submits to Allah alone. Islam means submission to Him only. This defines Monotheism (Tawheed) which is the essence of the true Faith, without which one cannot proceed ahead as a Monotheist. And if one is not a Monotheist, they cannot be a submitter and therefor not a Muslim. As for Jews and Christians, the Noble Quran refers to some of these folks who were righteous and also refers to many who were unrighteous at the time of the Prophet Muhammed (pbuh) and earlier. The Quran generally alludes to all Jews and Christians as People of the Scripture, of which, some opted to follow right guidance (Muslims or submitters) but many did not. "They are not all alike. Of the People of the Scripture there is a staunch community who recite the revelations of Allah in the night season, falling prostrate (before Him). They believe in Allah and the Last Day, and enjoin right conduct and forbid indecency, and vie one with another in good works. These are of the righteous." (3:113-114). Anyone, regardless of their official label or denomination, who at heart sincerely surrender their purpose of life to Allah Almighty alone, would be 'Muslims' in His Sight. Those Jews and Christians referred to as righteous in the Quran were by definition Muslims or submitters in Allah's Sight. The term 'Muslim' in the Quran is actually a common noun, not a proper noun, denoting a segment of the human society in the world who follow a specific path as commanded by Allah, that is, submission (to Him alone). Also, what stands out in my mind is that the true Muslims or submitters are the only ones whose title has been chosen by Allah Himself. People of all other religions have named their faith after other humans or tribes etc. For e.g. Jew is derived from a major Hebrew tribe, Juda. Christian comes from "Christ" (the anointed), the title people gave to Essa son of Virgin Maryam. Similarly Zoroastrians (also known as parsis in Pakistan) are named after their religous leader, Zoroaster. Hinduism comes from some sanskrit word written as "sindhu" meaning 'large body of water' or 'river' based on which hindus revere the water of a certain river in the east of South Asia ... I forget the name of that river. Buddhism which is a branch of hinduism is named after its founder Buddha and so on. 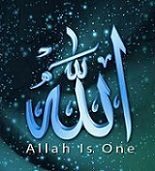 It is only the name 'Islam,' the only Ultimate Truth, which is chosen by Allah.